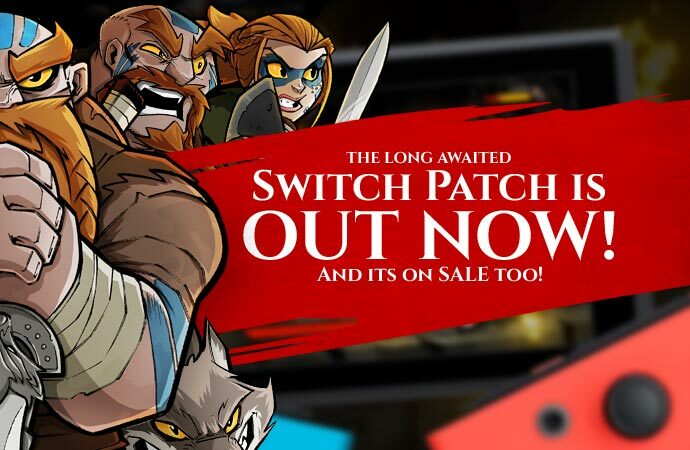 The BIG Switch patch is LIVE and on SALE too! After many months Wulverblade’s BIG v1.1 patch is out now! It’s been a long journey to get here but we’ve finally managed it. 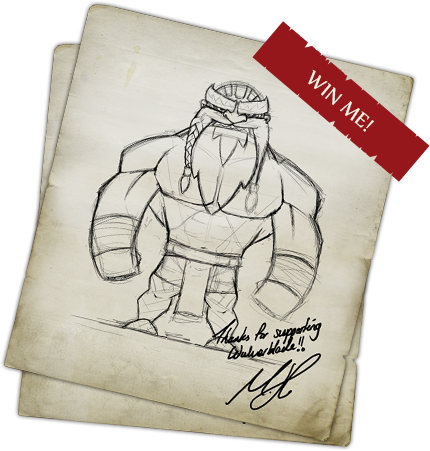 The v1.1 update of Wulverblade is out now and its PACKED with great features based on the feedback from our fantastic fans. Boss Checkpoints – The other big request was boss checkpoints. For the folks struggling with the difficulty the check-pointing was making things even harder, so there is now a checkpoint before each boss! BEAST mode – This is the extra mode that is currently locked on the main menu. Once you’ve complete the game this unlocks and, well, let’s just say you’ll be wanting to play the game through again! For those that have completed the game on other systems and had access to this mode, they’ve loved it and we hope you do to. Its seriously good fun! Missing achievements – A few folks had mentioned that their achievement’s had disappeared. Worry not, they’d not gone, they just weren’t visible due to a small glitch which has now been quashed. As you can see this is one meaty update with lots included, we just wish we could have got it to you sooner. This update was originally complete and submitted to Nintendo back in December with the plan of it going live whilst we were still in our exclusivity window with Nintendo. Sadly, we hit some HUGE roadblocks. Namely, one monster bug that only Nintendo could see. We’d bug tested the patch like crazy on all our available systems and it ran like a dream, but at Nintendo, they were seeing a crash bug that we simply couldn’t replicate on any device. You can imagine how hard it is to fix a bug that you simply cannot see nor reproduce. After many months of back and forth we finally got to the bottom of the issue. The bad news was that the sheer degree of changes we’d had to make to uncover this bug and then fix it in turn created some new issues. Many months and many changes later the patch has now been greenlit by Nintendo and is running like a dream. We were gutted that we couldn’t get this out earlier, especially for the fact that the update flew through first time on all other systems without a hitch. You can imagine our dismay when this initial bug was still causing us issues months later on Switch. You can rest assured that the Switch version has had way more time lavished on it than any other version to date though. It’s been our bestselling platform and the one we’ve worked tirelessly to support. Finally we’ve got the patch out! You’ll be glad to know that Switch sales were MUCH higher than the other systems. In fact, Switch sales are way beyond all the other systems combined! And last but not least, one stat that still blows us away is that we don’t foresee Steam’s year one sales even matching Switches DAY 1 sales! Bonkers right? The Switch certainly has proven to be a fab system for us. We’ve not got a point of breaking even yet but sales have been good in general and it’s just a joy to hear people’s enjoyment of the game. To celebrate the launch of the patch we’re running a 33% off sale on the US eShop for one week starting TODAY! Grab it whilst it’s cheap and enjoy all the new features! The sale will be extended to the EU soon too. We’d like to say a MASSIVE THANK YOU to both our wonderful players and also the amazing community over at Nintendo Life for your input, feedback and coverage. It’s really meant a lot to us. Now go slay some Romans, make use of those new checkpoints, enjoy the performance upgrades and work your way up to unlocking the new BEAST MODE! Cheers for all the hard work and a wonderful game guys! I was only able to complete the main story when my brother joined in to help kill Primus Pilus as I could not defeat him on my own no matter how many times I tried! I now have the Beast mode to look forward to and shorter load times.